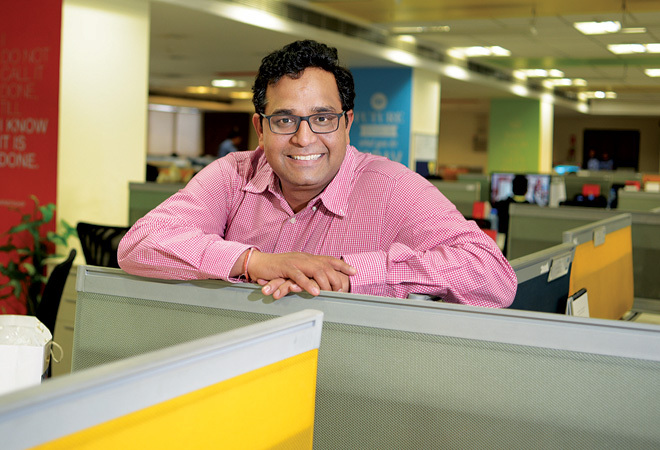 Paytm CEO Vijay Shekhar Sharma has been known to speak his mind. “In this country, there’s no f*cking better brand than us!”, he’d roared at a Paytm party recently, before claiming that his company had achieved numbers in 2 years that others took 5 years to reach. It had seemed a dig at Flipkart and Snapdeal then, but now it turns out that he really doesn’t think very highly of these companies. In an interview to Dainik Bhakar, Sharma seems to imply that he doesn’t respect fellow unicorns Flipkart and Snapdeal. When the interviewer asked him if he wanted to beat the likes of Snapdeal and Flipkart, he said that such a comparison itself was disrespectful to him. Here’s what transpired. Interviewer: But you never want to beat the likes of Snapdeal and Flipkart? Vijay Shekhar Sharma: I think it’s a disrespect (to me) when we’re compared to a company I don’t even respect. Sharma goes on to explain why he thinks that Snapdeal and Flipkart don’t belong in the same league as Paytm. He claims that Paytm’s mission is so pious, and their misson is so sincere that such comparisons feel odd. He also seems to dismiss Flipkart and Snapdeal as “retailers”. While Paytm also operates an ecommerce arm, it has been focussing on its digital wallet which is the cornerstone of the company. Paytm’s wallet is the most-used digital wallet in the country with over 120 million customers, and the company has been trying to expand its scope, tying up with everything ranging from petrol pumps to paanwalas. Sharma has often said that he hopes that Paytm will herald the digitization of payments in India. Interestingly, both Flipkart and Snapdeal operate their own digital wallets and are trying to make a dent in the payments space. While Paytm, Flipkart and Snapdeal have thus far been battling each other through discounts and promotions, a war of words might have just begun.